It’s official – Spring is on its way! Which means we need to start thinking about the garden. Today’s guest post has some great tips on how to look after your garden water features. Enjoy! There are many ways to protect your water features throughout the year. The means of protecting the water element will depend on its style, size and location. 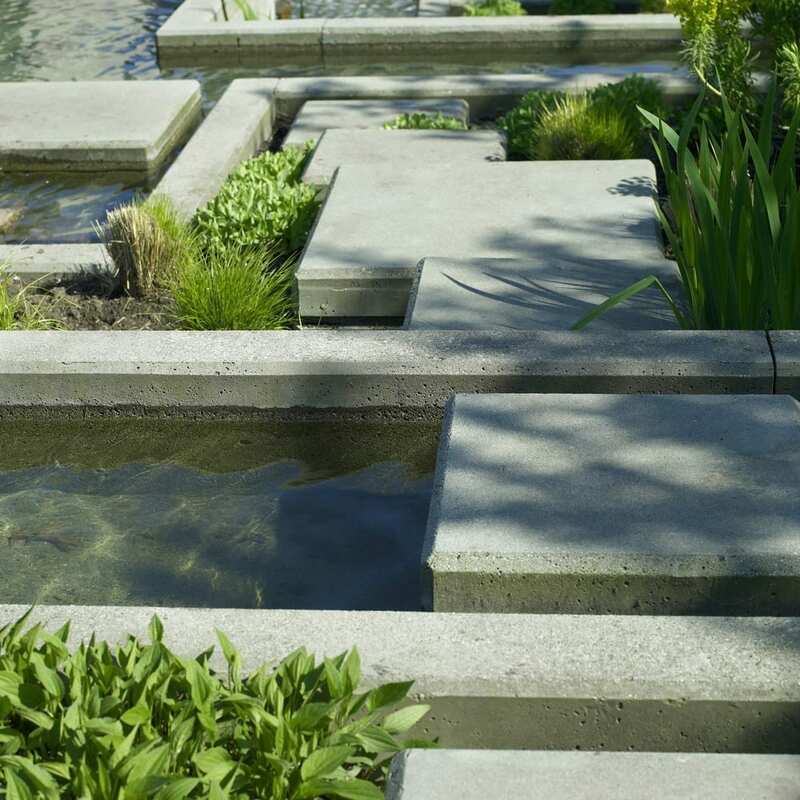 Here are a few general tips to protect most water features. Pond systems need to be protected from too may leaves, twigs and even blossoms from falling into the water and clogging the pump system. Too much debris in the water can also smother fish. Nets can be placed over the pond to catch leaves and twigs, especially in the fall. Blossoms from trees bordering the pond may be a problem in the spring and summer. The netting is easy to keep in place and remove for cleaning. Ponds and other water features should be skimmed frequently to remove debris. The pond liner should be checked for tears and cracks. Preformed ponds in different sizes and shapes are available in durable fibreglass and polyethylene materials. Pond protection may include draining the water element during the winter season in areas of heavy snow. The pond can also be covered during the winter and treated with a frost prevention kit. A fountain can be large with several tiers or levels in the classical style. You can have a small birdbath or a contemporary design utilising recycled materials. Covers in different sizes can protect most fountains during the cold winter season. Birds are attracted to fountains which means they should be cleaned periodically. Leaves, twigs and blossoms should also be removed from the fountain. Solar panels and lighting should be checked for cracks on a regular basis. Fountains come in all sizes and shapes. Ceramic structures may have cracks that can be easily repaired. Beautiful cascading water features are available in stone, metal and other materials. Water sealers can be applied to some porous fountain materials to protect them. Pumps keep the water moving. They can be powered by solar panels and related solar systems or plugged into an outlet. The filter systems trap debris so that it does not reach the pump. The filters should be cleaned on a regular basis. Nozzles, spouts and fountainheads keep the water feature oxygenated. Protect the nozzles and fountainheads by keeping them clean and free from dirt and other debris. The nozzles can spray, mist, or fan water into a fountain, pond or swimming pool. Nozzles and spouts can be combined for interesting designs. The spout can pour water from one object to another or the water can cascade as a spillway over a wall. There is no limit to the creativity of water spouts. Fish design water spouts are popular in fountains and ponds. Special water sterilising tablets keep the water free from harmful bacteria, fungi and the build-up of harmful algae. Ponds, fountains and other water features with fish should maintain a pH balance of 7.0 to 9.0. This is the acid/alkaline balance necessary for healthy fish. Foam is another problem with water features. Special cleaners keep foam away from water elements. Outdoor Living UK has a large selection of water features to beautify and enhance any garden or patio. Pumps, nozzles, hoses, lighting and other accessories are also available along with spare parts. Indoor water elements can be designed for conservatories and other rooms. A water feature is a pleasant addition to any home. Outdoor Living UK can customize water features for both residential and commercial areas.